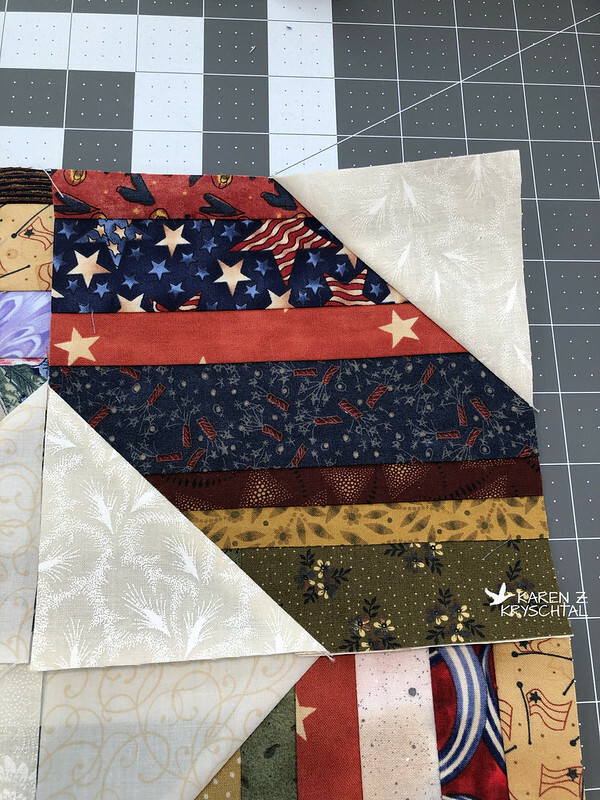 KZK's Quilts, Etc! : Lots Going On! Hi everyone! 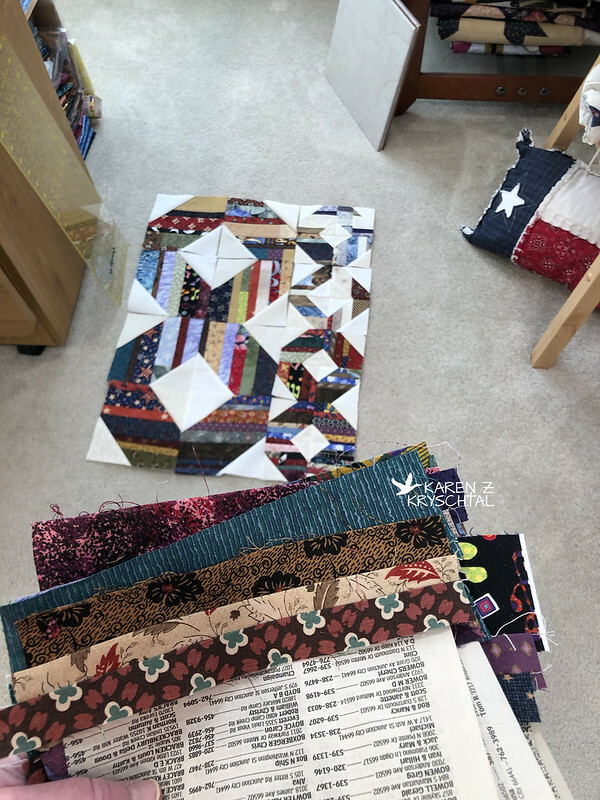 I've been going crazy in the Quilt Studio lately. I'm taking this afternoon off to do some cooking and laundry - and to try to catch you up a bit! Yep. 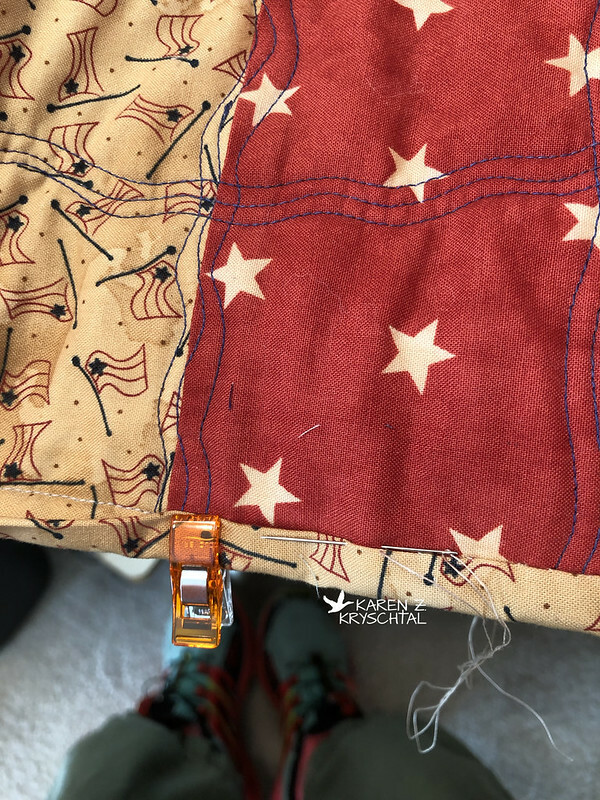 Still sewing the binding on the Frenzy Quilt. But see ... I had some partial pages of strings sewn together --leftovers from the String Quilt that I made for the foot of our bed. I couldn't just toss those away! Right? I thought they'd make cute 3" Kansas Dugout blocks! That's them on the left there. I cut the "flippy squares" for the corners the wrong size on one. Or four. Actually eight times, if you want to get specific. But hey! There are no mistakes, just creative challenges. Right? 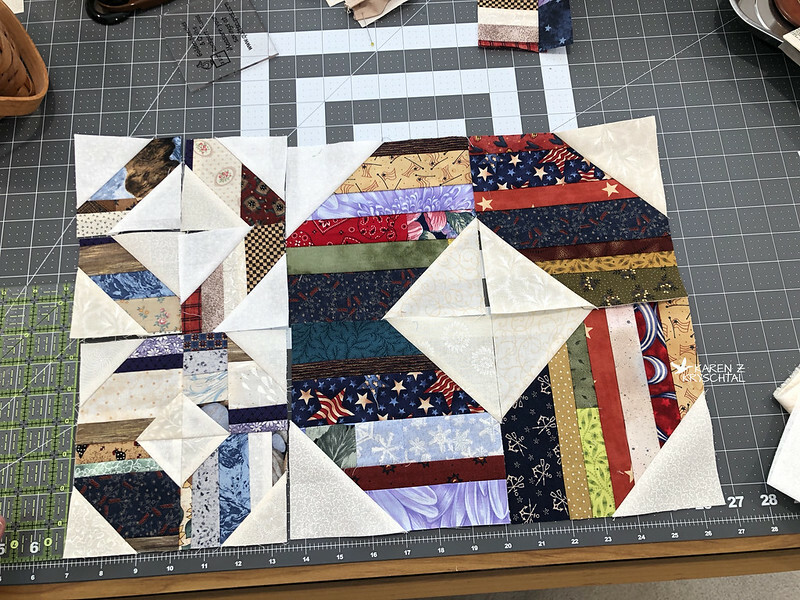 I thought the 3" blocks were so cute, I made some larger ones. And ... yeah. I'm still making more, just because. What am I making? I have no idea. I don't want to get too big. We'll see, though. More to come soon! Thanks for reading! Your work is always so creative, Miss Karen. 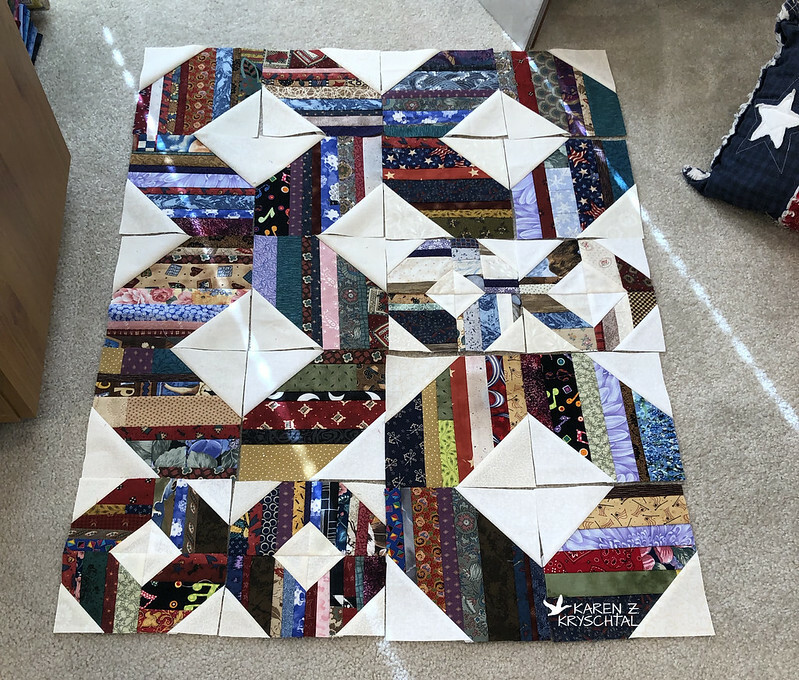 We love seeing your new projects! The new quilt looks grreat! I love seeing what you come up with. 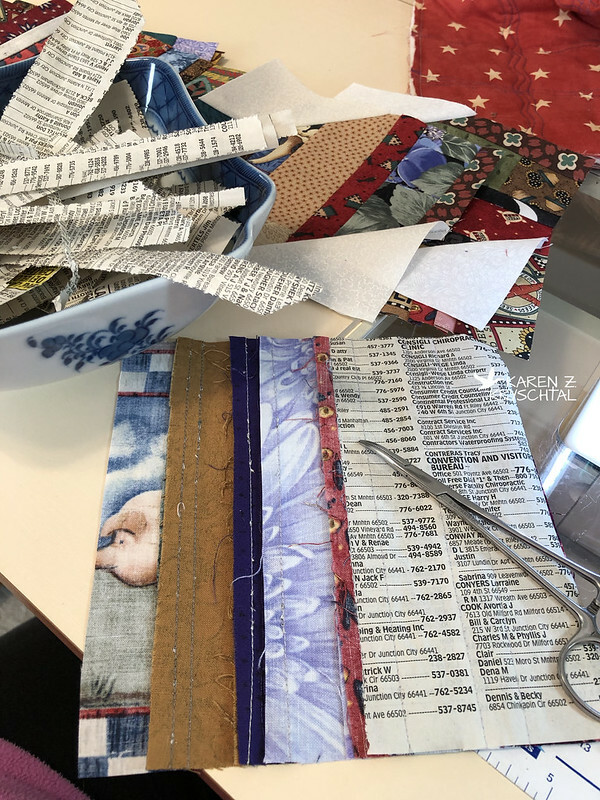 You sure are finding creative ways to use up lots of scraps. I can't wait to see where this goes. Back To The X Plus!